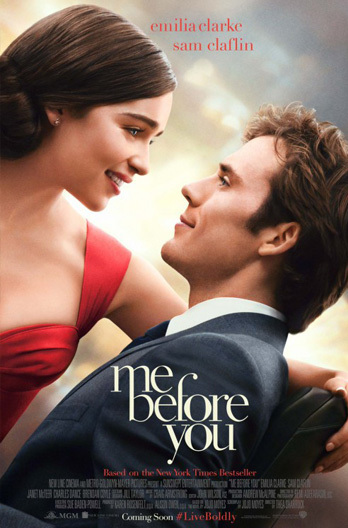 Synopsis: Starring Shailene Woodley (Fault in Our Stars, Divergent films) and Sam Claflin (Me Before You, The Hunger Games films), ADRIFT is based on the inspiring true story of two free spirits whose chance encounter leads them first to love, and then to the adventure of a lifetime. As the two avid sailors set out on a journey across the ocean, Tami Oldham (Woodley) and Richard Sharp (Claflin) couldn’t anticipate they would be sailing directly into one of the most catastrophic hurricanes in recorded history. In the aftermath of the storm, Tami awakens to find Richard badly injured and their boat in ruins. With no hope for rescue, Tami must find the strength and determination to save herself and the only man she has ever loved. ADRIFT is the unforgettable story about the resilience of the human spirit and the transcendent power of love. At first glance, ‘Adrift’ looks to be yet another lost-at-sea drama, albeit drawn from the true story of 23-year-old Tami Oldham Ashcroft’s 41-day struggle to stay alive following a devastating Pacific hurricane. 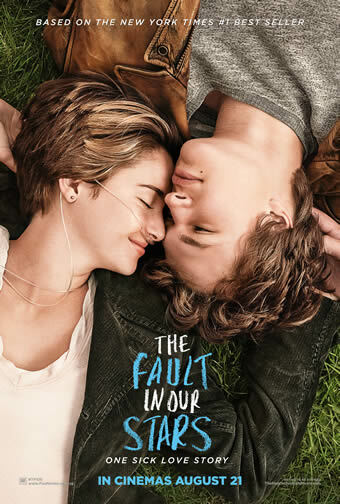 And certainly, the film itself does bear much of the genre’s conventions, including the ravages of constant hunger, thirst and exposure to sunlight, the titles indicating the slow but sure passage of time, and the grim treatment of a shattered leg and ribcage. But equally, those looking for a harrowing chronicle of her ordeal will probably come off disappointed, not least because director Baltasar Kormákur has decided that Tami’s relationship with her fiancé Richard is just as, if not more, interesting than her survival story. Adapted from Tami’s 2002 memoir titled ‘Red Sky at Mourning: A True Story of Love, Loss, and Survival at Sea’, ‘Adrift’ works on two timelines: one that begins with an injured Tami (Shailene Woodley) jolting awake below her severely damaged yacht and trying to find her way back to land, while keeping a seriously wounded Richard (Sam Claflin) alive; and another that follows the Californian’s idyllic tropical courtship with the handsome Englishman upon their serendipitous arrival in Tahiti, leading up to their ill-fated $10,000 gig to sail a couple’s boat back to San Diego. Scenes alternate between before and after the storm, with the former moving ever closer to the hurricane itself and the latter ticking off the days and weeks of the yacht adrift. It’s not difficult to see why Kormákur or his trio of writers (namely, Aaron Kandell, Jordan Kandell and David Branson Smith) had chosen such a narrative structure instead of say telling the tale linearly; by doing so, they could build towards the storm as the climax, rather than working their way down from it. Yet at the same time, the frequent jumps back-and-forth make it difficult for us to be fully immersed in Tami’s physical and psychological trauma, even as we see her going about the motions: fixing the mast; pumping water from the cabin; rationing tinned sardines; putting aside her vegetarianism to catch a fish and eat it raw; and last but not least, navigating a tricky new course to Hawaii with almost no guidance etc. As Robert Redford demonstrated in the one-man procedural-like thriller ‘All Is Lost’, it takes attention to these details to turn them into real human drama, which the bifurcated scripting unfortunately loses. That said, not all is lost. For one, Kormákur’s decision to shoot the movie out at sea ensures that these scenes have an inimitable sense of place, captured beautifully and vividly as they are by Robert Richardson’s widescreen cinematography. For another, the focus on Tami and Richard’s love for each other puts a somewhat refreshing romantic spin on the genre, infused as it is with heartfelt emotion. In fact, the stakes here are quite different – rather than living for herself, Tami here is motivated by her deep affection for Richard, which gives her reason, purpose and hope to stay alive. It also saves a late reveal about Richard’s fate from simply being a gimmick, especially given the sweet unforced chemistry between Woodley and Claflin. Between them, it is Woodley who is the unquestionable star of the picture, and the 26-year-old best known for starring in the YA sci-fi series ‘Divergent’ and HBO’s ‘Big Little Lies’ radiates the same inner strength and vulnerability here in equal measure. Such adventurer-lost-in-the-wilderness movies are often overwhelmingly male, but Woodley justifies just why she deserves to be front and centre in this film with a performance that is convincing, engaging and even fascinating. Oh yes, there is never any doubt that she knows her way around a craft on water, and indeed her dedication to craft is probably one of the most compelling reasons to see the movie which she also produced. 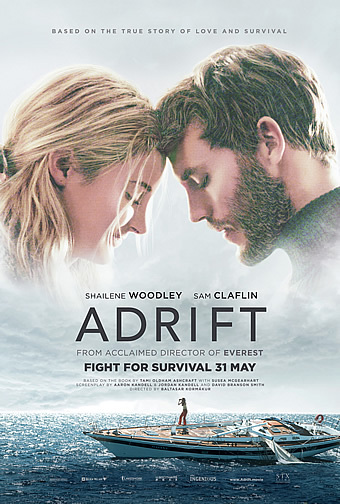 Certainly, ‘Adrift’ comes off a little underwhelming when compared against Kormákur’s other disaster movies like 2015’s climbing-expedition-gone-awry chronicle ‘Everest’ and 2012’s nautical true-tragedy ‘The Deep’, which is also why those looking for the same thrills from this similar survival picture may very likely go away dissatisfied. 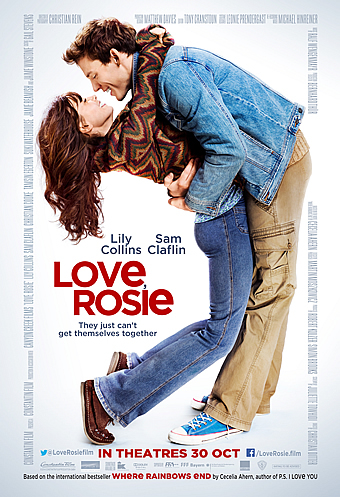 Seen from the lens of a love story though, the bliss-and-ordeal rhythm that the movie tick-tocks to makes a lot more sense, and may even come off unexpectedly touching. This is first and foremost an ode to the power of true love and its capacity to sustain the odds, so rather than taking it literally, it’s a lot more powerful appreciating the title as a metaphor for these two souls all right, who once adrift now find anchor next to each other.